Down on your luck? Feeling a bit blue? Simply looking to upgrade your smoking ritual? The slim jade smoking pipe may be your salvation. 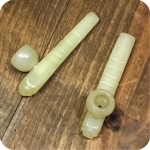 Historically, jade has been a favored material for pipes due to the belief that breathing through jade would bestow longevity on the smoker of such a pipe. Additionally, jade is said to bless and protect whoever it touches. If you don’t believe in any of that, you’ll still find plenty of value in the sheer beauty of jade. 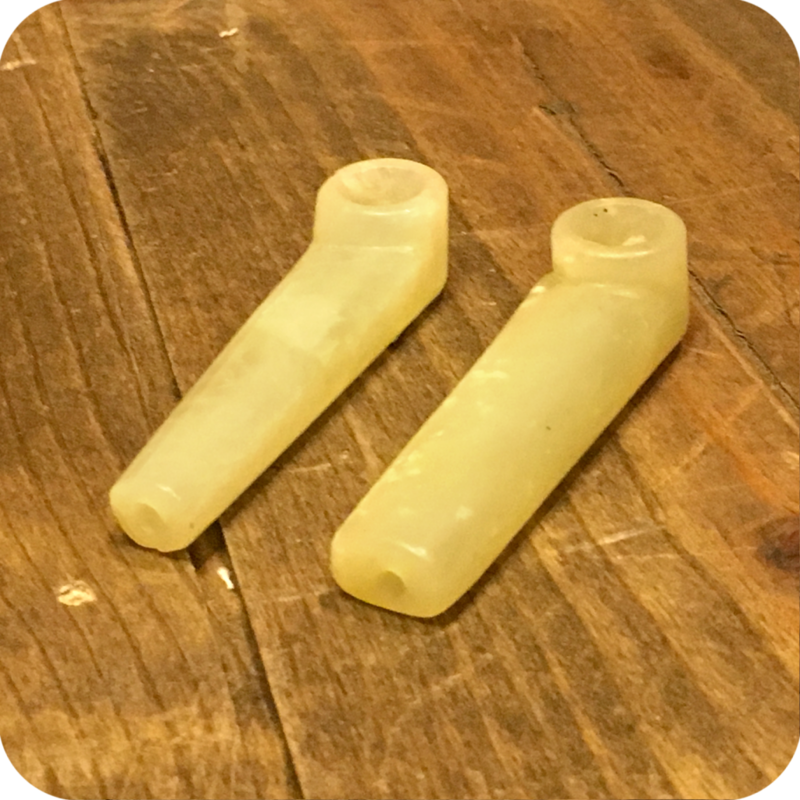 This slim jade smoking pipe in particular is a simple yet stunning example of jade’s beauty. The surface of the pipe is smooth and cool to the touch. It is ever so slightly translucent, especially in the sunlight. When this palm sized pipe isn’t in your hand, rest it on your windowsill to bask in the sun and enjoy how it reflects the light. 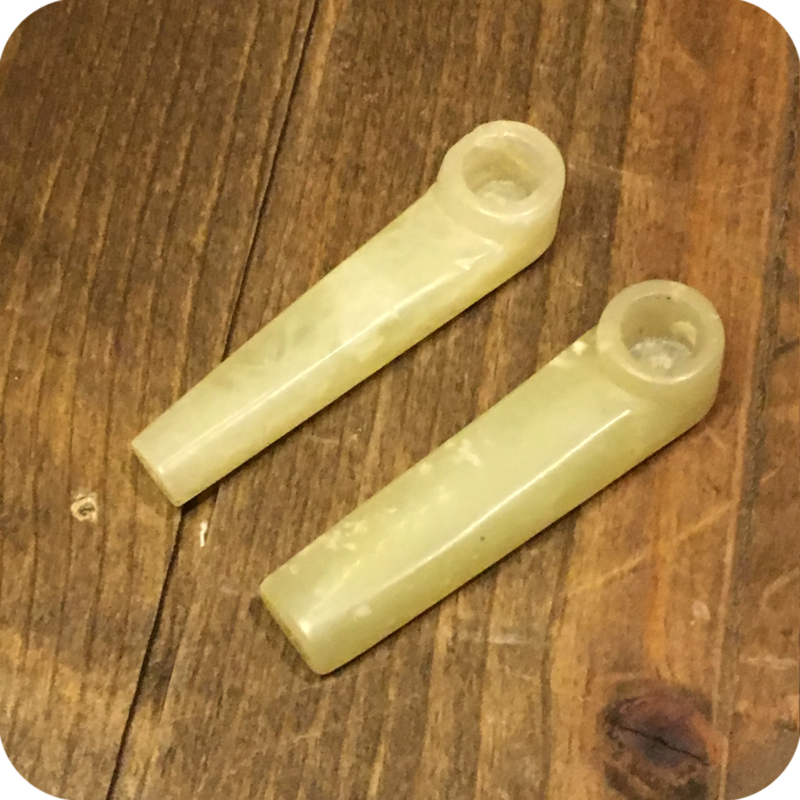 This elegant jade pipe is 2 1/2 inches long, making it easy to carry around with you. For being such a small pipe, the bowl size is rather generous. When using this pipe, make sure to grind up your legal dry herbs before use. 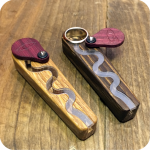 Doing so will ensure the most efficient and least wasteful smoking experience. And most importantly, take care of your pipes! Clean with a little 420 cleaner, or very thoroughly with just soap and water. 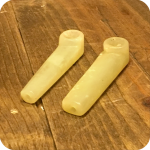 This will help your slim jade smoking pipe maintain its natural, earth-given beauty. 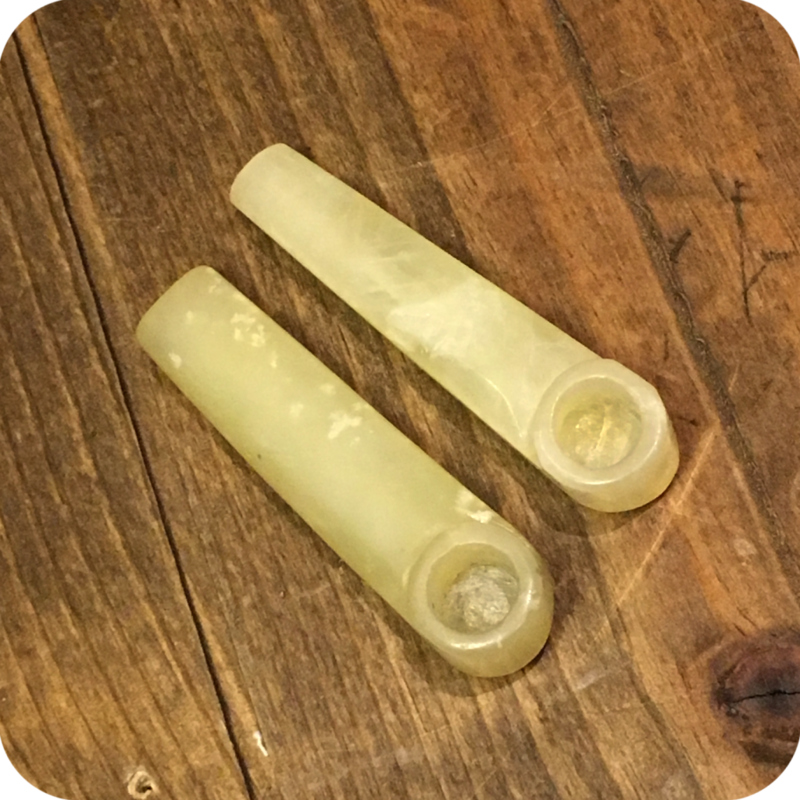 Categories: Smoking Pipes, Stone Pipes.